Youz funny boss. Nice try, but I already weeened the bakery challenge! (plus the purchased goods were supposed to be on the hood of the car). You get points for massive effort. We have moved on its lemonade stand now. Are those yummy little surf boards? Yes they are...er, were yummy surfboards. Someone needs to build a lemonade stand, next to their car, and take a picture. I've got a bottle of squeeze lemon juice and a couple limes, 'bout to open up shop! I was thinking the same. Time to DIY ! 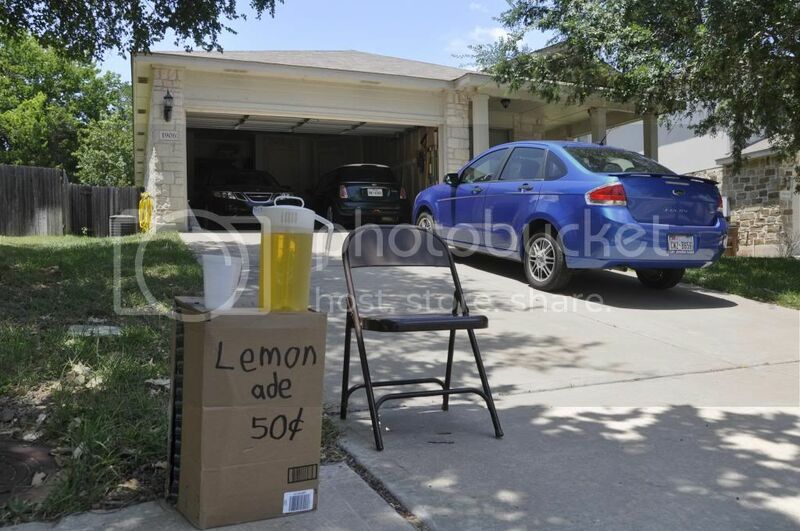 Here is my lemonade stand ! You can see my Mini Cooper in the background.